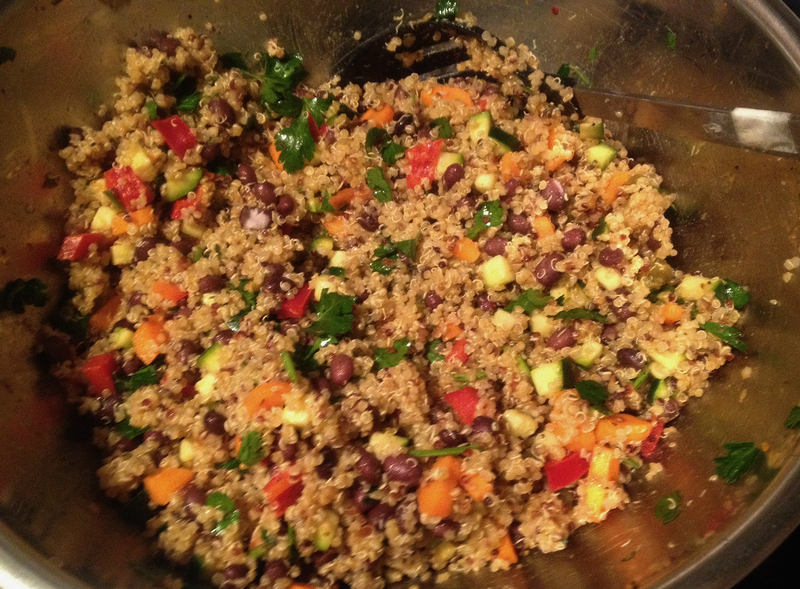 Quinoa Salad – With a bit of a kick. First combine all the ingredients listed above into a large bowl and stir well (apart from the Quinoa, Olive Oil & Salt) . Lastly add the Quinoa & Olive Oil into the same bowl, stir in well and then season to taste with Salt. I’ve found this keeps OK in the fridge for up to 2 days without drying out too much as the Olive Oil helps keep things moist.